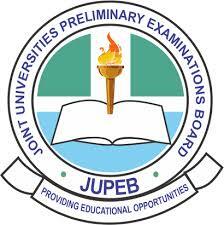 In collaboration with the JOINT UNIVERSITIES PRELIMINARY EXAMINATIONS BOARD (JUPEB), the University of Benin invites applications from suitably qualified candidates for admission into the Foundation Programmes for the 2018/2019 Session. All the combinations shown in the table meet the entry requirements for direct admission into Degree Programmes in the University of Benin and other JUPEB affiliate Universities which include, OAU, UNILAG, UNN, UYO, FUTA, FUNAAB, UNIPORT etc. DURATION OF PROGRAMME The duration of the study is a minimum of one Academic Session of TWO SEMESTERS. It is strictly non-residential programme. (i) Fill your Bio-Data correctly as no complaint about wrong bio-data will be entertained after submission. (ii) Candidates who upload wrong bio-data will be disqualified and forfeit application fee. (iii) Only coloured print out will be accepted. (iv) Print at least 4 copies of the University of Benin online registration form with complete passport size photograph printed in colour. CLOSING DATE: Application Closes at Midnight on Friday August 17th 2018. ENTRANCE EXAMINATION: The Entrance Examination into the Foundation Programme will hold at the University of Benin on SATURDAY, August 25th 2018.